Portland Community College’s Adult Basic Education Program can be the lifeline people need to reclaim energy and purpose in an effort to complete a degree or find employment, no matter where they got their start. Khaleda Aqaei, 23, is proof that for those in the ABE program, earning a GED is the key to personal and professional success. Six years ago the Southeast Portland resident and her family immigrated to the United States from Afghanistan by way of Iran, where they were living as refugees. Aqaei had no formal education, as attending school in Iran was cost prohibitive — a pattern that could have continued in the U.S. upon learning she couldn’t enroll in her local high school. 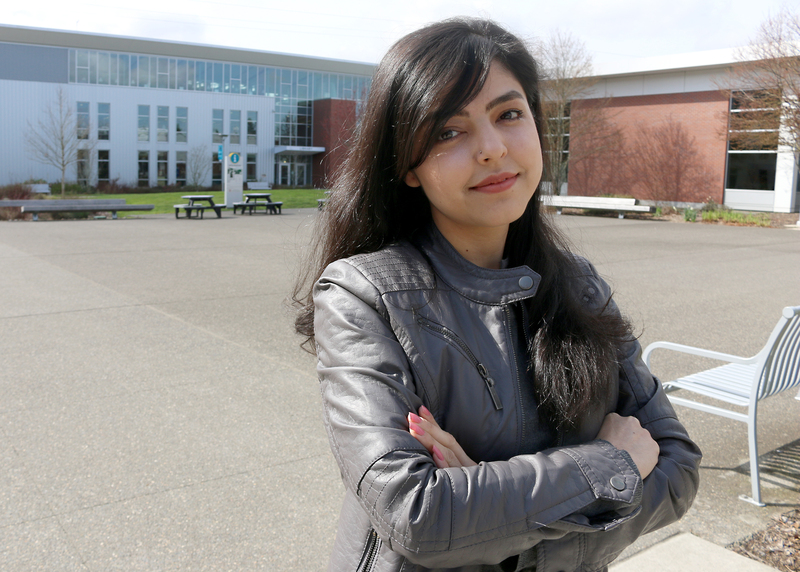 “Because I was 19, I couldn’t get into high school,” said Aqaei, who soon discovered PCC’s nearby Southeast Campus. Realizing she needed an alternative, Aqaei found a case worker who helped steer her toward the GED prep program at PCC. The GED Certificate is for individuals who have not completed high school and who are at least 16 years old. Earning this certificate is crucial for those in the program as the GED is accepted as a high school diploma substitute by many employers, apprenticeship programs, community colleges and universities, and is recognized throughout the United States and Canada. If students in the ABE program complete 50 hours of classes and obtain their GED, they are eligible for an $800 GED scholarship to continue their education at PCC. Like Aqaei, many of the students in ABE are trying to overcome challenges. They enter the GED certificate program with the hope of changing their life’s trajectory. And what begins as a desire to earn a GED certificate can develop into something more — like continuing their academic journey to earn a degree and become part of the community in a way that is very meaningful on a personal level. When it came to academics, Erica Ryan felt like she didn’t belong. In elementary school, teachers overlooked or dismissed Ryan, making her feel unimportant and not valued. Her classes were large, and she easily became “invisible,” and it didn’t take long for her to disengage and fall through the cracks. She was eventually tested for Attention Deficit Disorder, or ADD, but results proved negative. Rather than providing guidance or extra tutoring, however, teachers again ignored her. “They told me, ‘we don’t have time for you,’” Ryan recalled. “My teachers told me there was something wrong with me, which made me feel like there really was something wrong. 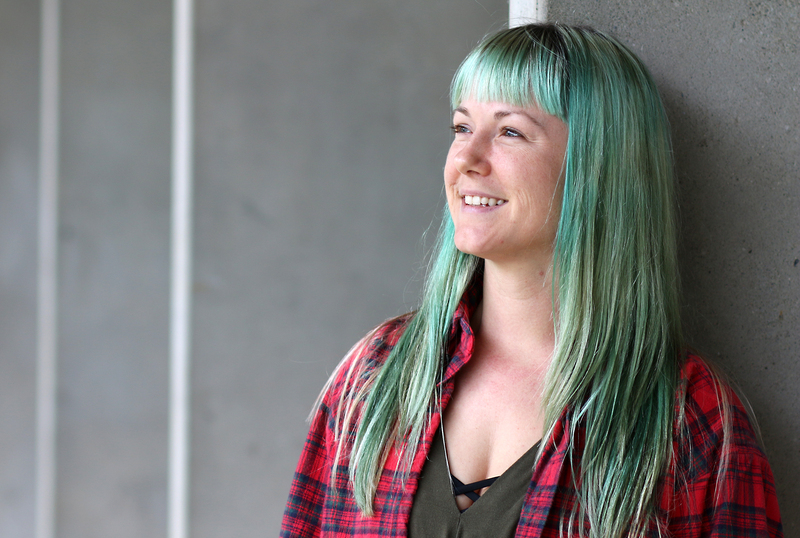 At PCC, Ryan was encouraged by her instructors to ask questions, and it made all the difference in her academic career. “Everybody learns differently, and at PCC I had teachers that cared about helping me rather than saying that they didn’t have the time,” she said. Ryan, who lived in Mexico for 14 years and is bilingual, earned her GED in 2017 thanks to the $800 GED scholarship she received from the program. She now has a job as an assistant Spanish teacher at Nuestro Jardin Academy. Ryan has a child of her own, and spring term was her first as an official college student working on her associate degree in Early Childhood Education at the Sylvania Campus. And Aqaei is definitely thinking beyond her GED, too. As the eldest child, she has shouldered the duties of interpreting for family members, communicating with others on behalf of her family, and assisting them in finding services and resources. In spite of these responsibilities, Aqaei has prioritized her education: She is finishing up her associate of science degree and plans to transfer to the Biochemistry Program at Portland State University next fall. It is my understanding that it is not recommended or even possible to take ABE classes if there is a need to work on english skills. It is more appropriate to begin with ESOL classes and move to ABE or take the GED test. This article is misinforming and confusing to an already complex system. It would be nice if there was more support and direction for ESOL students, as they may be an underrepresented and vulnerable population. PCC really should focus on making this system more streamlined so students can be successful and integrated into our community. Unfortunately, both ABE and ESOL are not money making programs for the school, therefore they are often poorly supported.